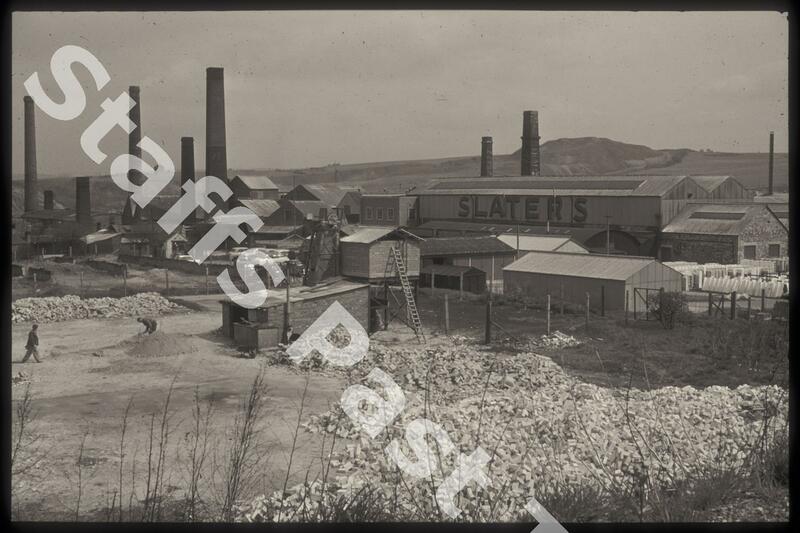 Description:Johnson and Slater was formed in 1935 to operate the Berry Hill brickworks and Slater's sanitary ware works (Berry Hill Potteries). The works were to the south and west of the fireclay pit. 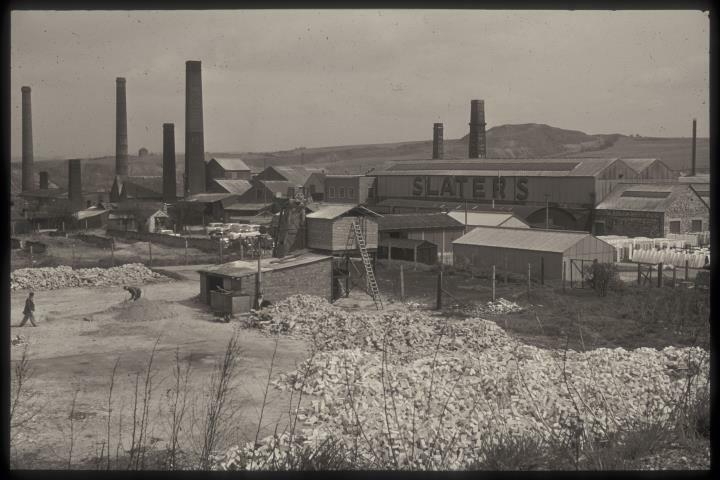 On the right of the photograph are stacks of sanitary ware.